Nanomaterials	constituent components that are smaller than 100nm in at least one dimension. The study of controlling matter on an atomic and molecular scale, nanotechnology, has the potential to create new materials and devices with a vast range of applications in medicine, electronics and energy production. Nanotechnology has stirred up a great amount of attention for improving disease prevention, diagnosis, and treatment . Ordered or random nanotopographies can be synthesized by a number of fabrication techniques such as electrospinning, phase separation, self-assembly processes, thin ﬁlm deposition, chemical vapor deposition, chemical etching, nano-imprinting, photolithography, and electron beam or nanosphere lithographies. 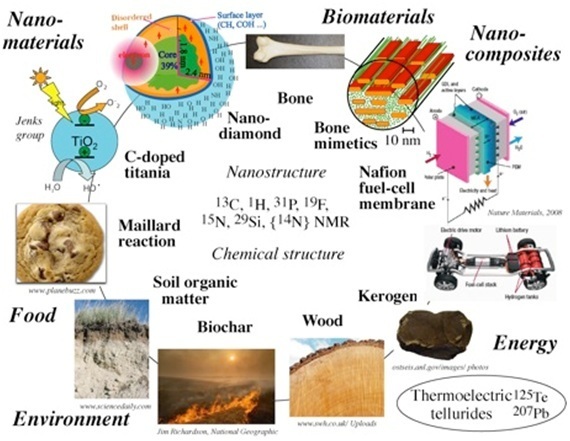 Nano materials can be composed of metals, ceramics, polymers, organic materials and composites. They include nanoparticles, nanoclusters, nanocrystals, nanotubes, nanofibers, nanowires, nanorods, nanofilms, etc . Nanomaterials hold a promise for bone, cartilage, vascular, neural and bladder tissue engineering applications. Nanofibers can accurately simulate the dimensions of natural entities, such as bone and collagen. Superior physiochemical properties such as mechanical, electrical, optical, catalytic and magnetic properties can be generated by decreasing material size into the nanoscale. As a result, nanomaterials have been extensively investigated in a wide range of biomedical applications, particularly regenerative medicine. Since natural tissues are nanometer in dimension and cells directly interact with and create nanostructured extra-cellular matrices (ECM), the biomimetic features and physiochemical properties of nanomaterials play a critical role in stimulating cell growth and guiding tissue regeneration . The ability to precisely control and integrate inorganic and organic nanostructures holds the promise of a completely new generation of advanced composites and applications in the medical field.